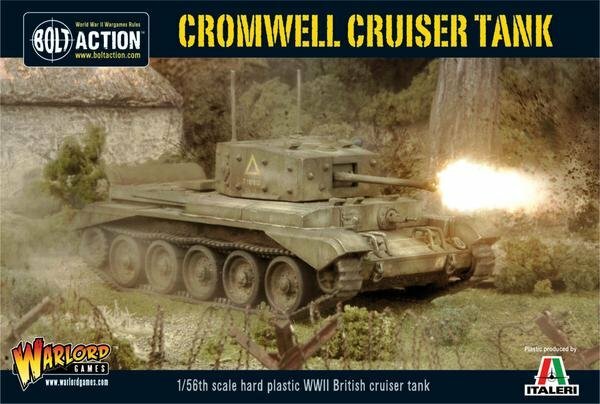 The most produced Cruiser tank of the European theatre! Armed with a potent 75mm gun and with good cross country performance this vehicle was more than a match for the venerable Panzer IV! Though sadly it was still outclassed by the German "Big Cats" Cromwells were used in the 7tharmoured division and in the armoured recce regts of the Guards and 11th Armoured Divisions. Even the 6th Airborne armoured recce regt acquired about 8 Cromwells in Normandy and kept hold of them during the Winter fighting in "The Bulge".